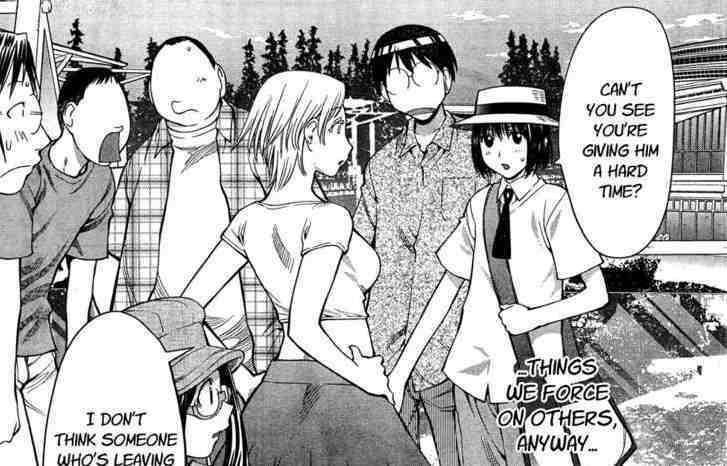 – Genshiken (and others), the Otaku and the Mirror of Desire. An examination of the ways in which desire is reflected in the narrative universe of Genshiken, with detours to other manga, western sci-fi, pop culture and anything else that falls off the truck. As I have gone completely obsessive on this one, made pages of notes, and then started lurking-posting odd, tangential weirdness on other folks’ blogs it is time to put up or shut up. Muda, as far as she who up-with-me-puts has been able to explain to me, means wasted effort though it also seems to be used also as a kind of “You are Doing It Wrong!” admonition. Note on style: As WordPress records the date of the initial post, but not subsequent edits, I reserve the right to mess with all my previous posts as I so choose, with or without noting any “addenda” or “later” flags for these edits. Hindsight is wonderful!